100, Jalan Putra, Kuala Lumpur. Business hours: 6.30am to 10.30pm daily. MIX it up this Chinese New Year and feast on a blend of Western and Chinese traditional dishes at the Coffee House in Sunway Putra Hotel Kuala Lumpur. In keeping to tradition, a specially made salmon yee sang counter at the buffet gives customers the chance to toss to an auspicious year ahead. “Reunion dinners are normally eaten with the family but because of the fast-paced life in the city, many choose to eat out. “This is why we have come up with festive specials that are as authentic as possible just like how you would have at home,” said Chinese head chef Cheong Chee Seng. The festive buffet on Feb 7 is ideal for family reunion dinners as there are many dishes and types of cuisine to choose from. The first thing that greets diners as they walk through the restaurant’s doors are the tall tower of desserts and tables filled with sweets and savouries. Colourful layers of dessert specially prepared for the Chinese New Year buffet. 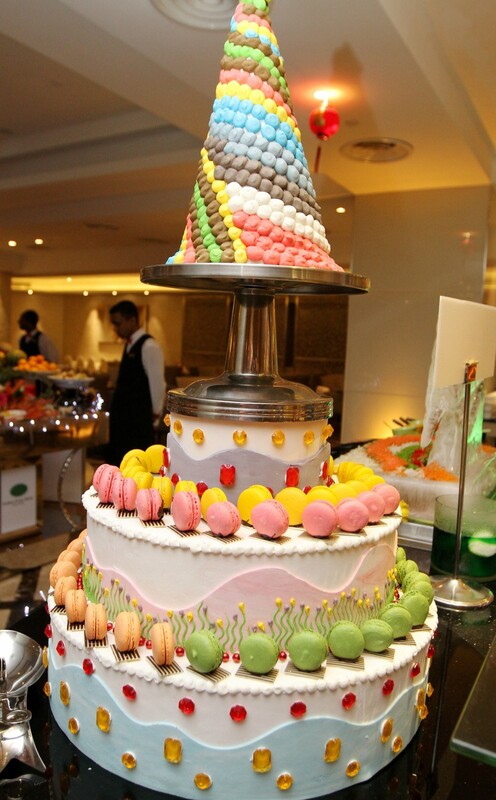 Here, diners get to enjoy an assortment of sweet delights including traditional Chinese cookies and Western cakes. Move down the line and find the hot station where dishes such as Sea Cucumber and Mushroom Stew, Teo Chew Braised Duck, steamed fish and fried prawns, await. 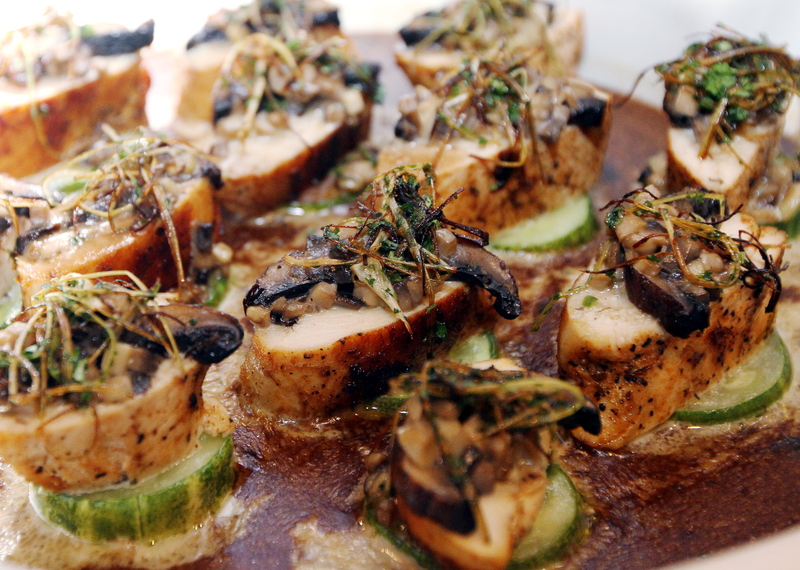 For something a little more Western, there is the Grilled Lamb with Mint and Mustard Sauce and Pan-seared Chicken with Mushroom Ragout Sauce. Sunway Putra Hotel presents their festive menu to usher in the Year of the Monkey. 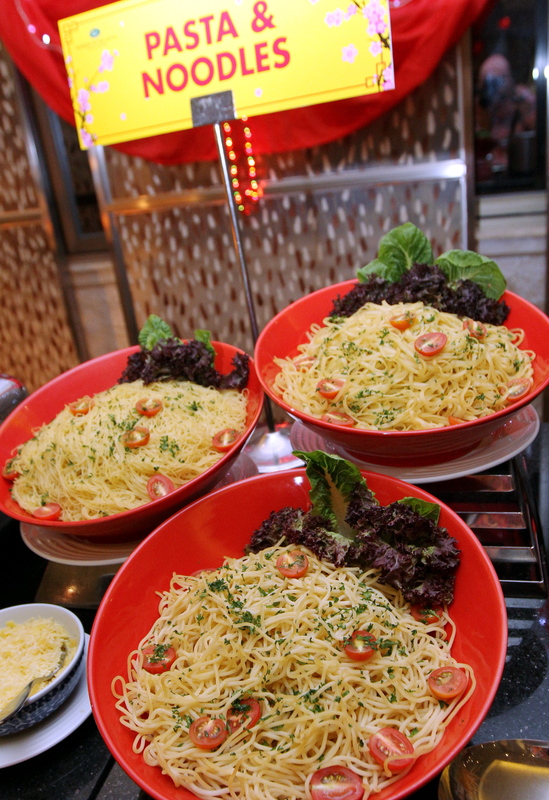 One of the things to look out for in the buffet is the pasta station, which has the chef’s very own Asian Seafood Buttered Spaghetti. The unique white sauce was similar to buttermilk sauce but a lot more flavourful and slightly spicy. From the soup station, diners can indulge in Chinese-style soups to go with the festive theme. The hot and sour Szechuan soup and Double-boiled Chicken Soup with Ginseng were both tasty and helped warm up the stomach. The various pasta noodles to choose from to go with their very own Asian Seafood Butter sauce. Although Chinese soups are traditionally eaten with rice and creamy soups are better suited with bread rolls, the kitchen has maintained the bread corner for the dinner. 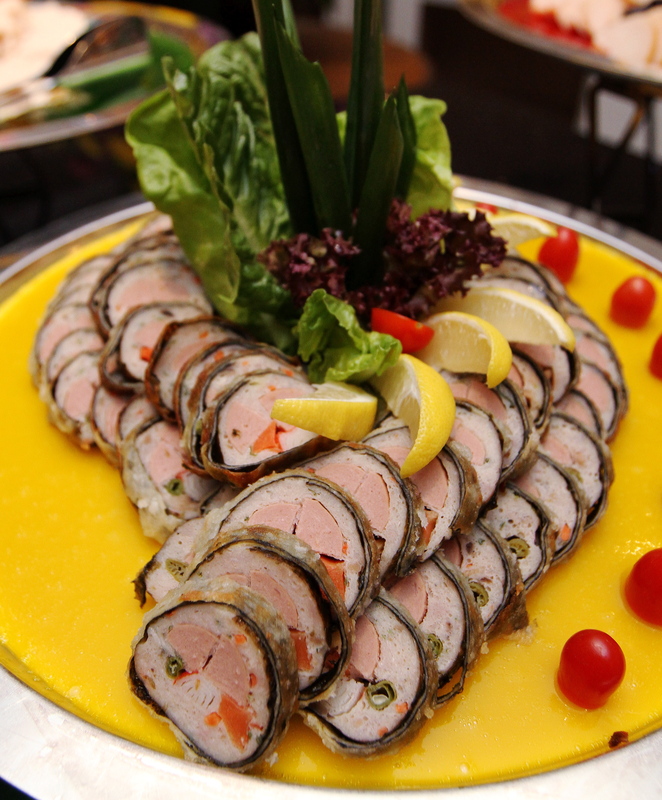 The reunion buffet is priced at RM108 nett per adult and RM54 nett for children between six and 12 years old.